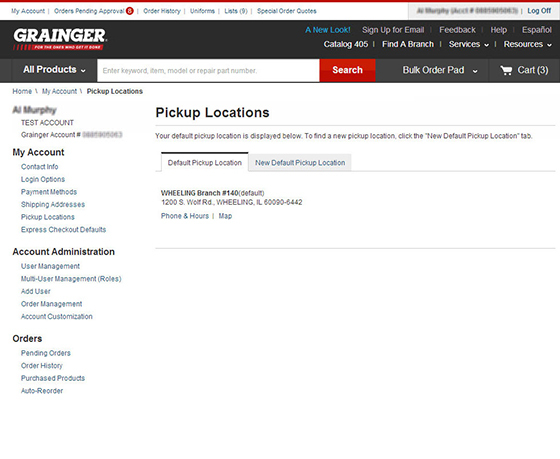 Save time when you order online with the convenient Pick Up feature! Place your order online and pick it up at your local Grainger branch. With more than 350 branches nationwide, there's a Grainger branch near most businesses. You can pay with a credit card, use your online account or pay for your purchase when you pick it up at the branch.